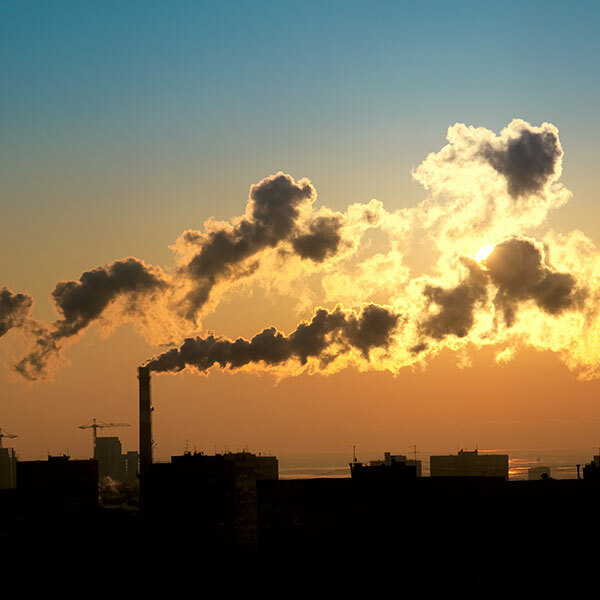 Like the air we breathe, ozone pollution surrounds us around the clock. Ozone pollution oxidizes lipids and depletes skin’s natural antioxidant reservoir, triggering a progressive cascade of damage, contributing to visible signs of aging. Ozone pollution may contribute to premature aging that can lead to the appearance of fine lines, wrinkles, and sagging skin. (1) Ground level ozone has been shown to deplete the skin of vitamins E and C, two essential ingredients in the body’s natural defense mechanism that protects against oxidative damage (International Journal of Cardiology). It may also strip away the protective barrier that helps to keep nutrients and moisture in and toxic compounds out of your skin. This occurs because ozone increases lipid peroxidation, which degrades the lipid component of the barrier. (Annals of the New York Academy of Sciences, Journal of Lipid Research). By depleting your skin of vital nutrients and vitamins, ground level ozone may significantly accelerate the appearance of the common signs of aging. For years, scientific research on environmental causes of skin aging has focused solely on UV radiation. Today, ozone pollution is quickly becoming one of the most widespread threats to human respiratory health, with levels at the highest they’ve been in history. Use a cleanser indicated for your skin type and remember your evening cleanse is as important as your morning cleanse. After being exposed to environmental pollutants and debris it is important to remove them effectively off your skin before applying your nightly skin care products. Before heading out for the day it is extremely important to apply an effective sun screen that can reflect the harmful UV and Infrared rays. Using an effective anti-oxidant that contains Vitamin C and Vitamin E is vital in helping to prevent and protect your skin against ozone pollution skin damage. Ozone is a colourless gas that occurs both in the earth’s upper atmosphere and at ground level. 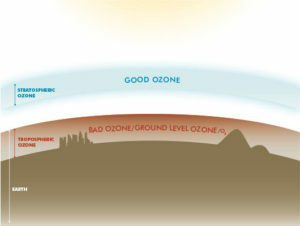 Depending on its location in the atmosphere, ozone can be categorized as “good” or “bad”. Valacchi, G. (2010). Effect of ozone on cutaneous tissue. In Farage, M.A., Miller, K,W., Maibach, H.I. (Eds.). Textbook of Aging Skin. (411-420). Berlin: Springer. Cotovio, J., et al. (2001). Generation of oxidative stress in human cutaneous models following in vitro ozone exposure. Toxicology in Vitro. 15, 357–362. Costa, C. et al., (2010). Exposure of human skin to benzo[a]pyrene: Role of CYP1A1 and aryl hydrocarbon receptor in oxidative stress generation. Toxicology. 271, 83-86. Protocol: 1-week clinical study on 12 subjects with 5 days of exposure to 0.8 ppm ozone for 3 hours per day. Subjects applied C E Ferulic and Phloretin CF to forearms for 3 days prior to ozone exposure. Product was left on skin for a minimum of 3 hours. Subjects continued with daily application of C E Ferulic and Phloretin CF for the entire duration of the study. Inclusion Criteria: Females and males ages 18-55 The Environmental Protection Agency (EPA) Air Quality Index categorizes ozone concentration at 0.404 ppm (parts per million) / 1 hr. and above as very unhealthy air. People who are sensitive to ozone experience severe respiratory symptoms (aggravated cough or pain) and impaired breathing.